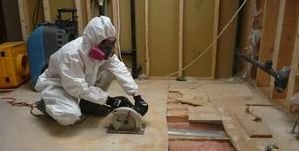 When water leaks into your home for whatever reason, no matter how large or small you incident may be, you can rely on the water damage Highlands experts of 911 Restoration Houston to get your home back into beautiful condition. We are available 24/7/365 to take all your emergency calls and offer your immediate assistance. No matter what time you contact our office, our Highland flood water removal unit will be at your home within 45 minutes. 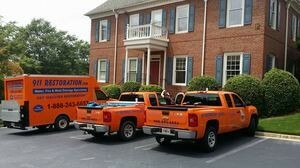 Even if you call us in the middle of the night, we will make sure to bring all of our water removal and drying technology so we can get started restoring your household. Call our Highlands water extraction workers today and we will implement same day service the moment we arrive! It is obvious that we will strive to get your home into pristine condition in the shortest possible amount of time, but what you may not know is how much effort we also put into our customer service. There is nothing we value more than our customers, and we try to prove this to them in every avenue of the home restoration process. Our Highlands flood damage eradication members never cut any corners, so you can trust in the fact that we will not leave a job until it is completed to the utmost perfection. Not only will we take care of your home, but we will care for your wellbeing. Call our Highlands plumbing agents and we will get you on the road to a fresh start today. If notice that your home has water damage stains on your ceilings or running down your walls, then you most likely have a leak in your roof. Figuring out the source of the leak is the hardest part, but the Highlands water removal specialists know exactly how to pinpoint the issue. Our training and equipment allows us to scale your roof easily and safely, allowing us to check the exterior and interior for cracks. Even small leaks will end up causing major damage, so if we find a roof leak, you should have it fixed immediately. If the water leaks into your home for just a short amount of time it can still lead to large problems for your property, including mold growth, rot, damaged insulation and ruined ceilings. For example, leaks in the flashing can cost you a lot of money if it is left unattended. 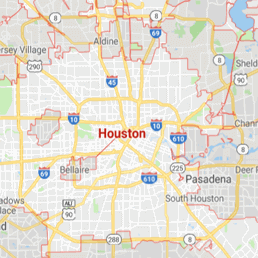 Our Highlands flood cleanup pros will help homeowner deal with any roof issue right away in order to keep the damage and repairs minimal, so call our water damage Highlands team with 911 Restoration Houston and we will give you a free home inspection today!